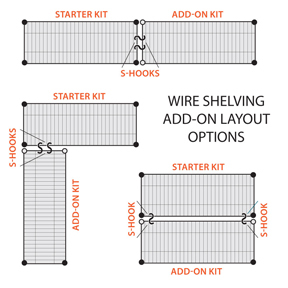 Our Chrome Wire Shelving is a modular wire system allowing great flexibility for most applications. 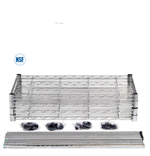 We have put together kits to make getting this attractive shelving assembled quickly and easily. 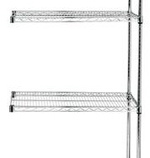 47 different shelf sizes to work on 54" to 86" high upright posts. 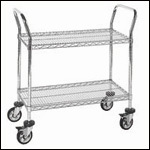 You can choose from 4 shelf units or 5 shelf units. 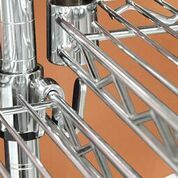 Begin with a starter unit and add on as you need. 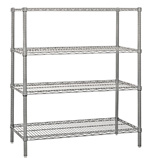 Wire shelving allows air to circulate and light to penetrate for increase product visibility. 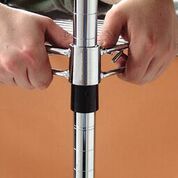 Sturdy all welded construction with additional wire trussing for increase strength. Up to 800 lb. 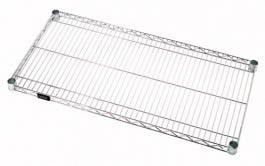 capacity per shelf when load is evenly distributed. 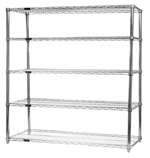 Chrome wire shelving is recommended for dry storage environments. 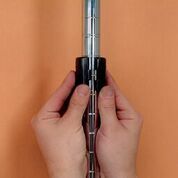 Assembly is quick and easy...just three steps and you are done!